Ready to take on the world. Hervé’s tourer is the most complex built leaving the shop so far. 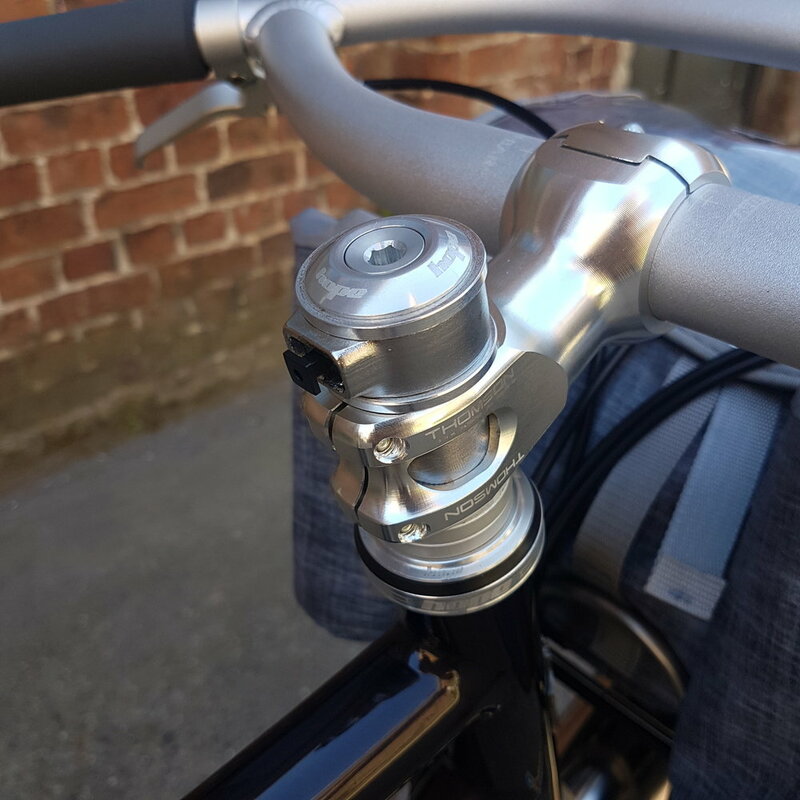 The drive train is powered by the solid Rohloff Speedhub and a Gates Carbon Drive belt. The bike can be folded in two halves which are connected by S&S couplers. The SON front and rear lights as well as a USB charging port are connected to the “Forumslader” (there is a little article about it on my site for more details) which is powered by the SON 28 dynamo hub. 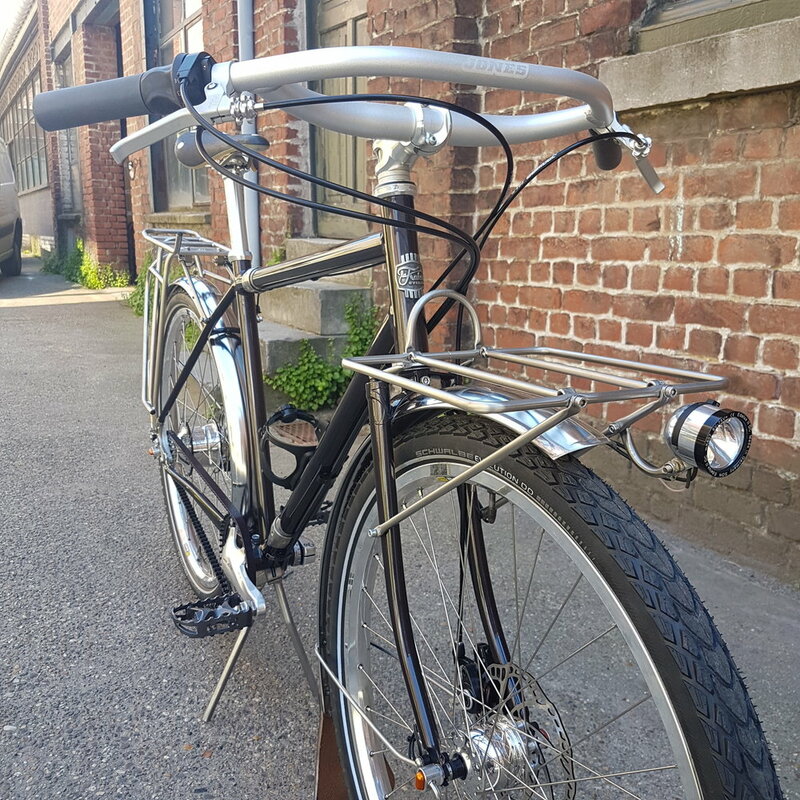 A custom bag to pack up the bike and make it TGV ready is currently still in the making by TIM TAS & REK who also provided the custom front rack and bag. The bike is designed to go the distance, comfortably on all types of roads. Hence it is equipped with reliable and resilient components such as the Jones H Bar, Brooks Cambium C15 saddle, mechanic TRP Spyre disc brakes and Paul Components brake levers, Schwalbe Marathon Mondial tires, removable MKS pedals, a sturdy Tubus Cosmo rear rack, Gilles Berthoud fenders and mud flap.